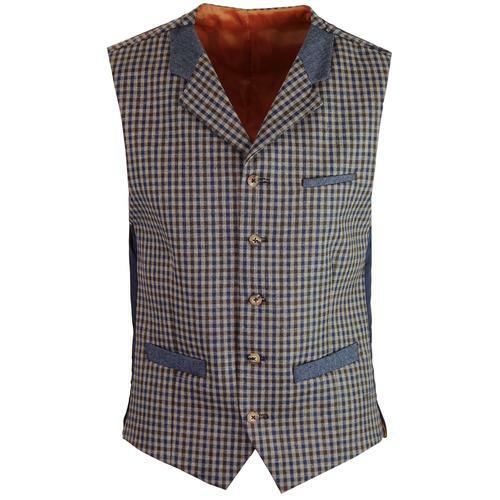 Tailored by Madcap England 1960s Mod Donegal Waistcoat. 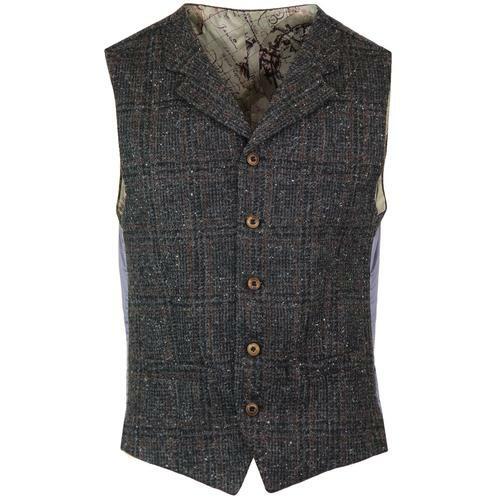 Retro multi colour Donegal flecks really capture the attention on this sublime high fasten waistcoat complete with classic notch lapel. Textured wool fabric adds to the air of Vintage Country Heritage style and the contrast satin like back panel finishes the garment off in style. Pair with the matching Mod 3 button blazer and slim leg trousers to create an awesome 3 piece Mod suit. 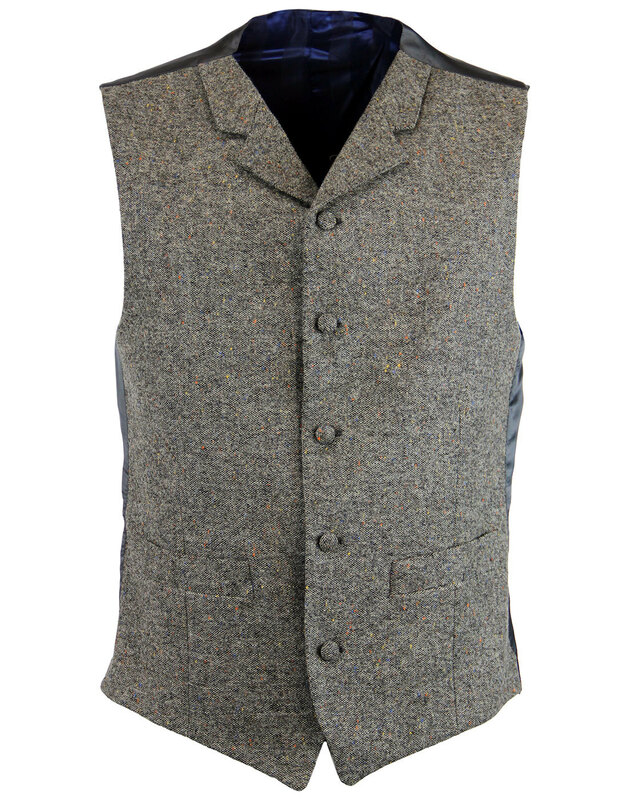 The Madcap England Mod Donegal Waistcoat is sharp and stylish - Perfect for adding a distinctive edge to your ensemble. 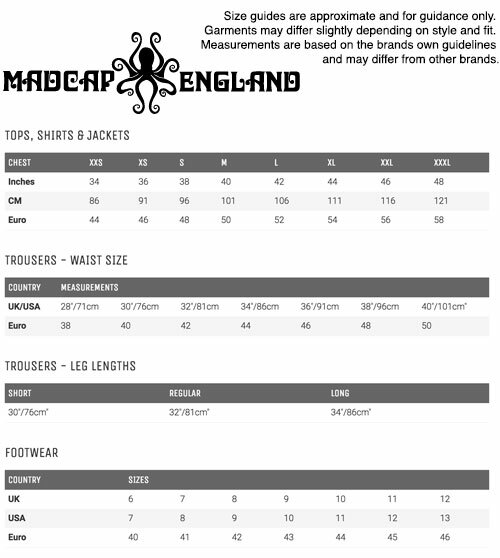 - Tailored by Madcap England Mod Donegal high fasten waistcoat. - Multi colour fleck detail. - Grey satin like back panel. 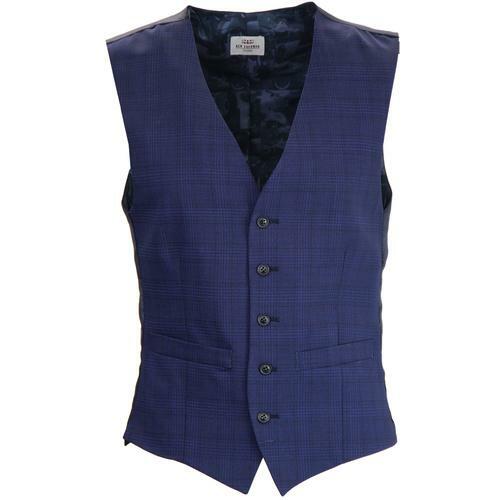 - Classic waistcoat point front hem. 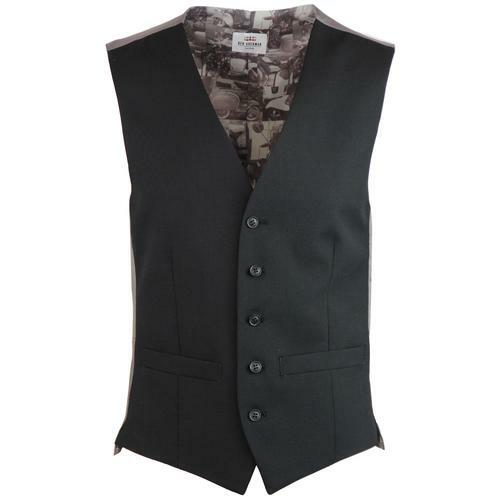 - SKU: S1656BV5 250 Mod Donegal Waistcoat. Composition: 100% Wool. Lining 1: 51% Viscose, 49% Acetate. Lining 2: 50% Viscose, 50% Acetate. Lining 3: 100% Viscose.